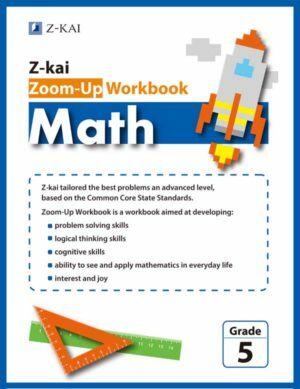 Z-Kai / Zoom Up – “Z-KAI ZOOM-UP WORKBOOK MATH” IS PUBLISHED ! 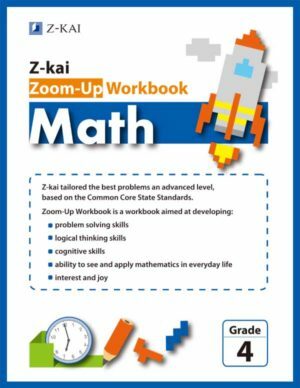 “Z-KAI ZOOM-UP WORKBOOK MATH” IS PUBLISHED ! 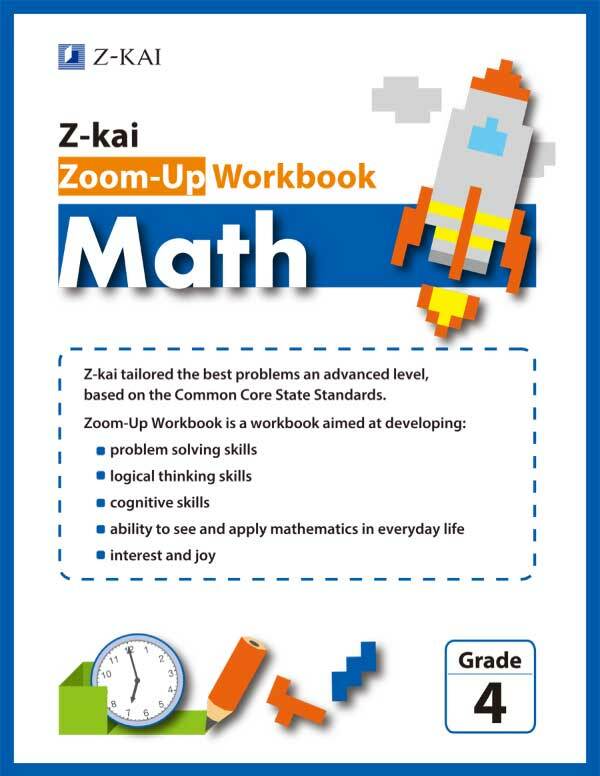 In Spring 2019, Z-kai Inc. published “Z-kai Zoom-Up Workbook Math” series in the United States. 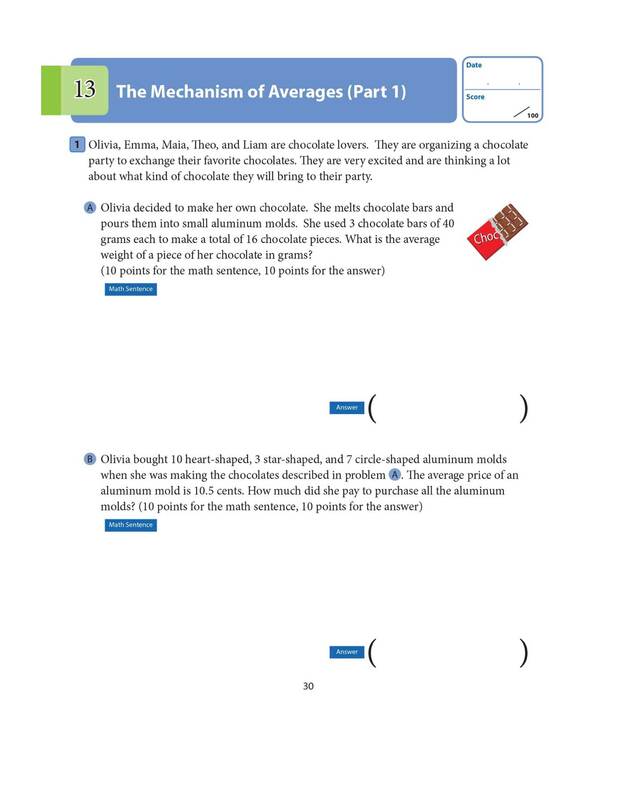 The series is based on the Common Core State Standards. “Zoom-Up Workbook” Japanese Edition is used by top 20% of students in Japan. 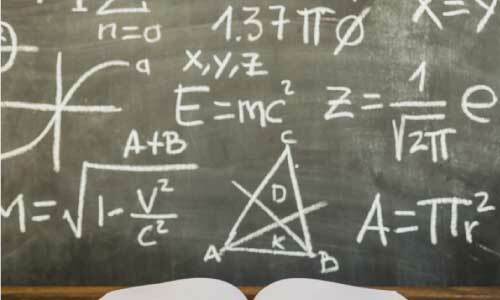 In global tests of academic performance (OECD PISA Test), Japan frequently scores in the top five in mathematics. By comparison, the United States scored 38th in the 2015 test. Z-kai’s math contents and curriculum have all of these components. 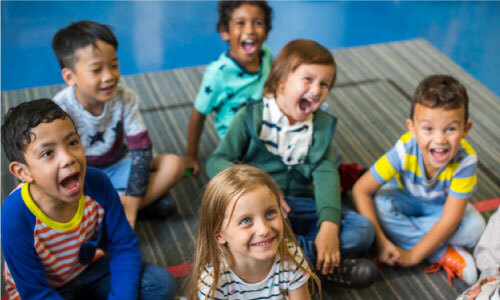 Z-kai offers educational services in Japan from its inception in 1931, particularly focused on developing challenging material for advanced and gifted preK-12 students. Through experiences educating more than 200,000 Japanese students each year, Z-kai has learned that it is better for students to solve a limited number of well-thought-out problems rather than numerous less-challenging ones. 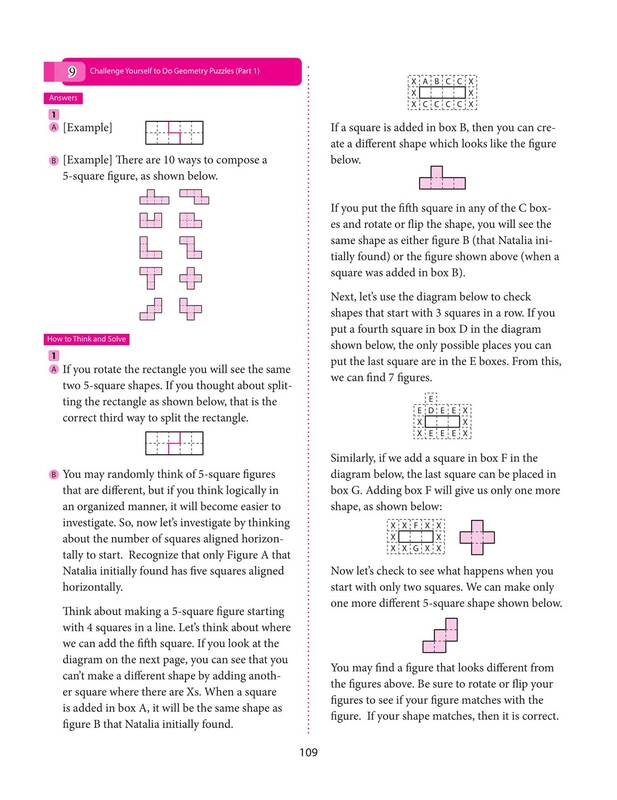 In this way, students’ mathematical knowledge, thinking skills, and processing are maximized and made more flexible. * Workbooks for lower grades will be published momentarily. Z-kai’s Zoom-Up Workbook is tailored to develop students’ mathematical thinking, problem solving, and explanation skills that are necessary for their future success in STEM. 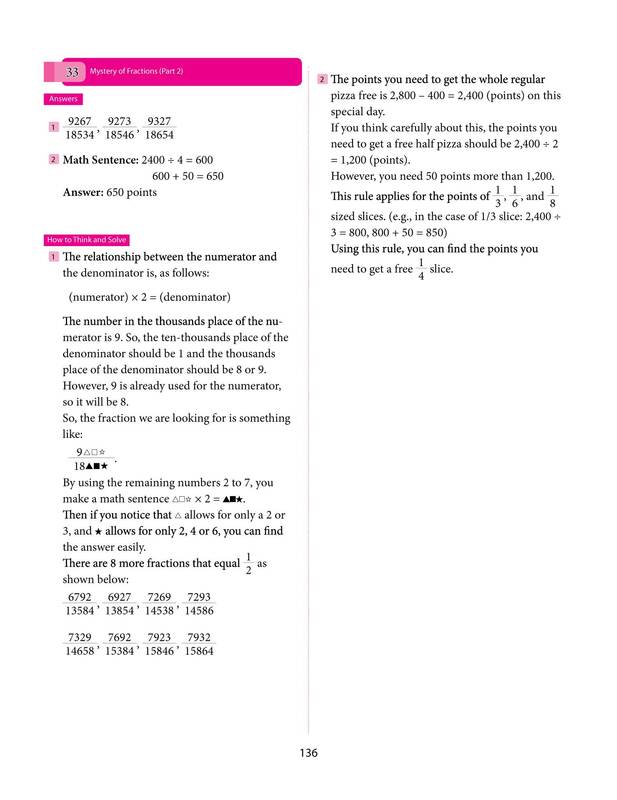 Zoom-Up Workbooks contain many problems that challenge students, because the problem solving requires them to apply mathematical concepts and develop skills that are uncommon to the mathematics curricula and instruction of most schools and classrooms. 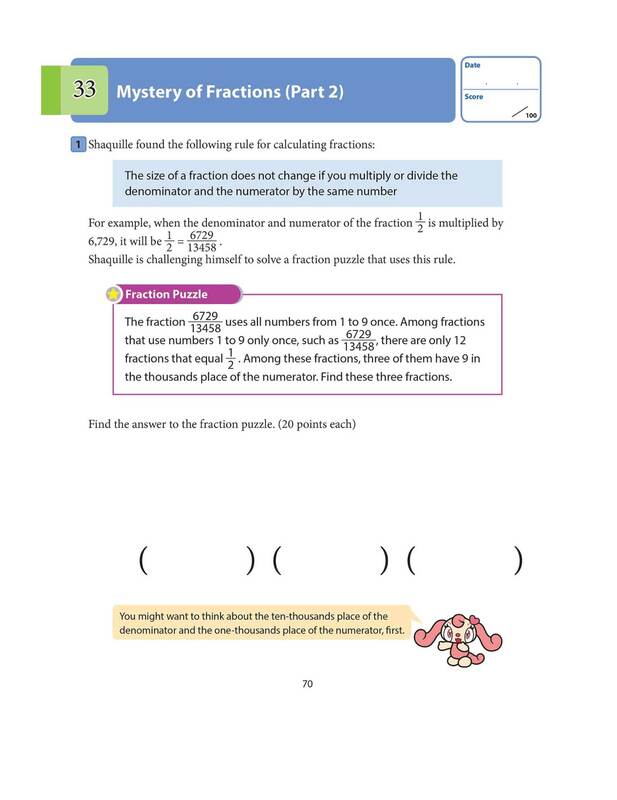 This series was developed to reflect or surpass grade-specific Common Core State Standards in Mathematics (CCSS-M, 2010). 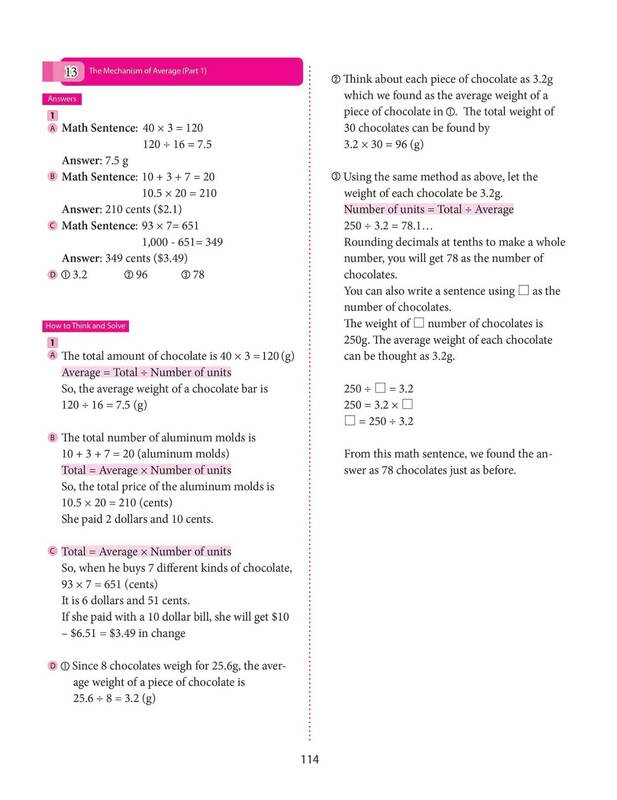 The application of mathematical reasoning, problem solving, and explaining mathematics provides multiple opportunities for students to apply the CCSS-M Standards for Mathematical Content and Practice. 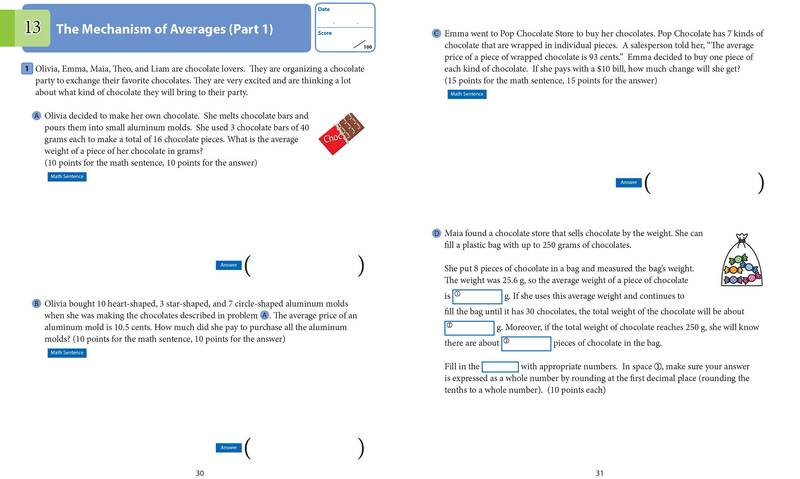 This Zoom-Up Workbook contains 45 challenging problem sets that have been carefully selected to optimize students’ understanding and perseverance. Given a limited number of total problems, the focus is on depth of understanding rather than breadth of completion. 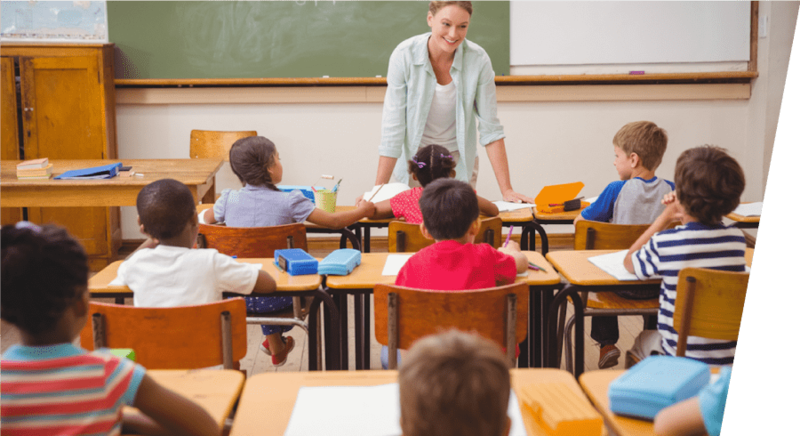 Solving challenging tasks will help students develop confidence and motivation. The stories are designed to be close to students’ daily lives. 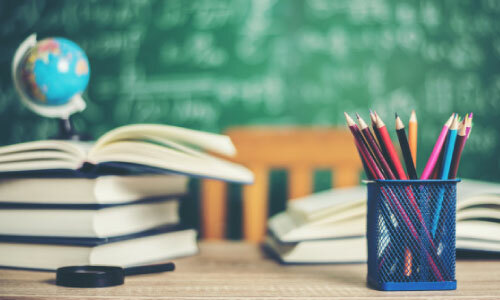 Students will be able to find delight in utilizing math in the real world. 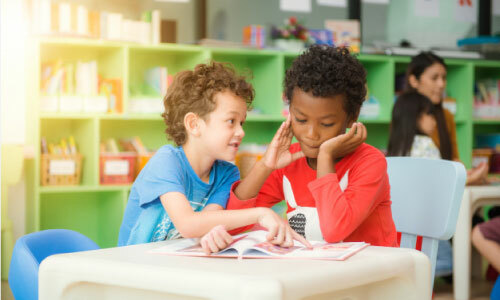 The story problems challenge students to read carefully and make sense of situations, which helps them improve their reading compression skills and their ability to express what they understand. 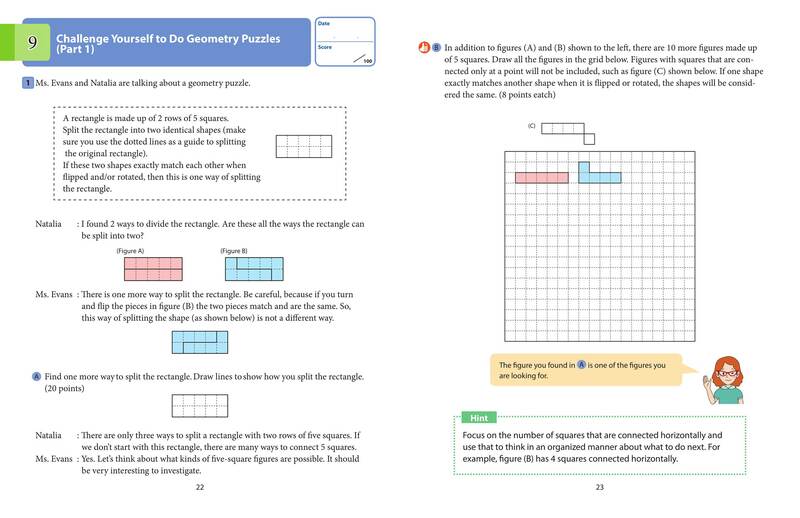 Well-structured math problems in this workbook develop an important foundation for algebra and geometry in middle school and beyond. Students learn to use properties to explore effective, efficient, and accurate calculation strategies. 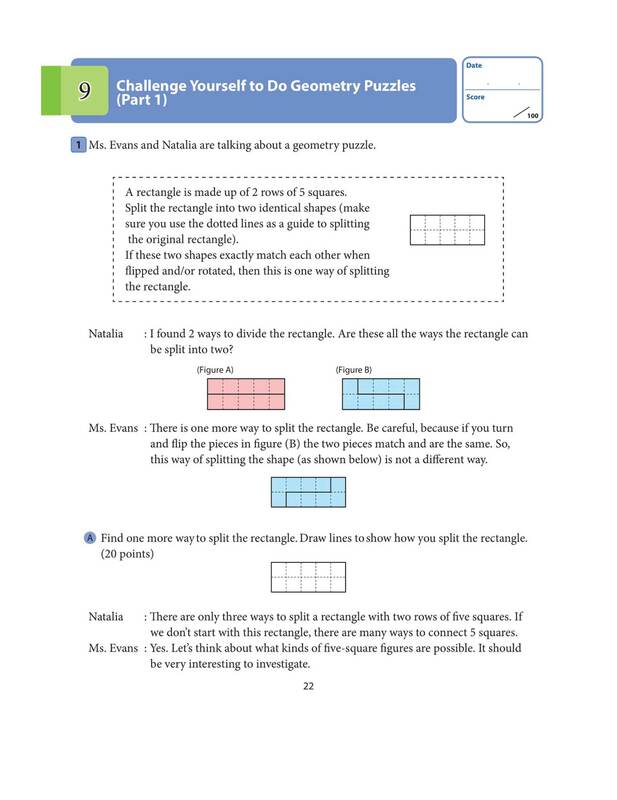 Geometry problems challenge students to develop visual-spatial reasoning and apply calculation strategies. Please contact us if you would like more samples. We would like to invite innovative and progressive teachers who are seeking educational materials of high quality with rigorous challenging problems. 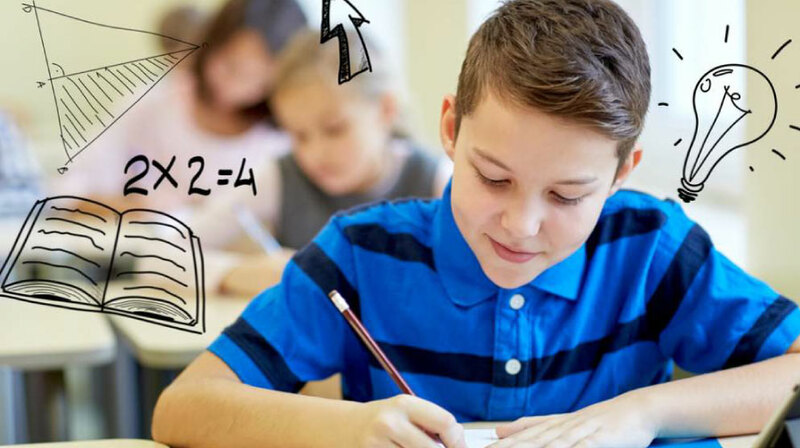 Please join us in a hands-on workshop to explore how we can expand the mathematical reasoning and potential of even your most advanced students!